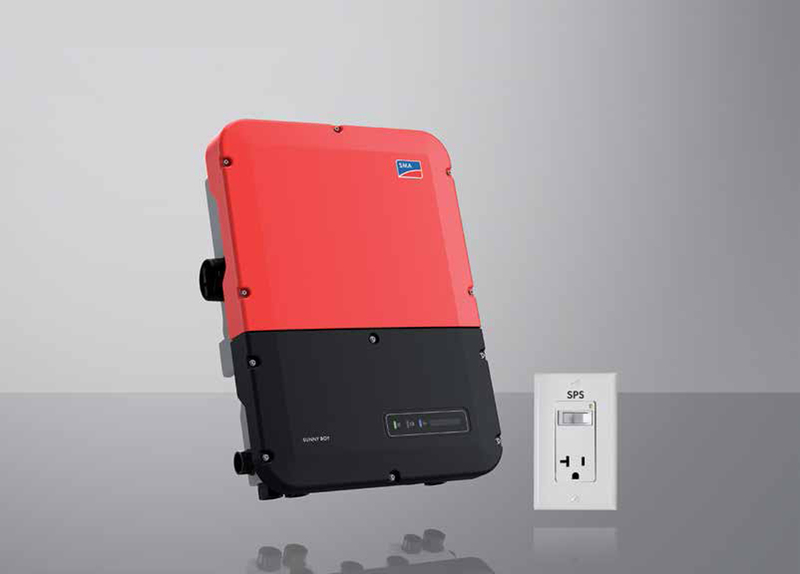 The SMA 3.8-US inverter features several improvements over the previous generation of Sunny Boy inverters including a wider voltage input window, three independent MPPT inputs, direct smartphone access and a Secure Power Supply. The 3.8-US inverter offers an industry-leading 100 volts DC minimum system voltage which means it will work with shorter PV strings and produce more power. The Sunny Boy 3.8-US includes two independent MPPT inputs which improves efficiency and design flexibility. Subarrays of panels can be installed on an East, West and South-facing roof top using the three independent MPPT inputs. The new Sunny Boy 3.8-US includes the Secure Power Supply feature which can output up to 2,000 watts of AC power during a power outage while the sun is shining. This is the first grid-tied inverter from SMA to offer direct access via a smartphone. The SMA 3.8-US also includes an integrated DC disconnect switch with each inverter. The combination of three MPPT inputs, Secure Power Supply, direct smartphone access and integrated DC disconnect make this one of the most cost-effective inverters available. Three MPPT inputs is especially useful for PV arrays with shading or complex roof tops with multiple sub-arrays.